Effective real estate negotiations is a critical skill when acquiring rental properties. You never want to overpay for a property. Hence, you need to ensure that you are getting a fair price and acceptable terms. This is done through negotiating. Negotiating is such an important aspect of real estate investing that I’ve written a 5 part blog series on this topic. 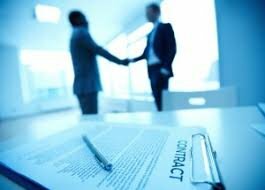 Stay tuned for following articles that delve into the various elements of successful negotiations. A good place to start is at the beginning. For me, the beginning, often means a definition! So let’s quickly review the definition that I feel best describes this process. The bargaining process between two or more parties seeking to discover a common ground and reach an agreement to settle a matter of mutual concern or resolve a conflict. The keys words to consider in this definition are two or more parties, common ground, agreement and mutual concern. These are important elements that needs to be present for effective real estate negotiations. Negotiation ability – Learned or genetic? We negotiate in our daily lives. We negotiate every day sometimes without knowing it. We negotiate with colleagues, businesses, friends and even family. Children are actually good at manipulation. They know what buttons to push to get what they want. Negotiating is an important skill that everyone should have. Even though we negotiate in one form or another on a daily basis, we are not taught it in school. Negotiators are not naturally born. It’s a learned skill, so anyone can do it. It just takes practice and experience. Some companies actually hire professional negotiators to do their bargaining for them. They understand the value those skills bring to their business. When negotiating there are actually three possible outcomes that can be reached. In this type of negotiation neither side achieves a desirable result. Both parties are worse off than when they started. Failed negotiations are often lose-lose. (Example: divorce). In lose-lose situations, both parties are typically so focused on what they want, that they don’t think about what the other side wants. This often ends in stalemate with no agreement at all. Not very productive right! With this outcome, one side of the negotiation profits at the other’s expense. One side comes out ahead (Example: Law suit). There are many cut throat business that feel this outcome is ideal. They are only concerned with their own interests. They think about creating a strategy that will get them what THEY want. This negotiation style is not always ideal especially if there is a need for future negotiations. With this outcome the negotiators find mutually beneficial common ground. Both sides are in a better position than when they started. (Example: a great real estate deal). Remember the definition earlier : “…discover a common ground and reach an agreement to settle a matter of mutual concern or resolve a conflict.” A win-win outcome benefits both parties. Which is the Preferred Strategy? While it may not be the preferred strategy for everyone, our preferred strategy here at Simple Acquisitions is the give and take strategy – the win-win approach. Unlike with children, our goal is to negotiate without the other party feeling that they have been short changed. It should be a win-win for both parties. You need to have the right attitude when negotiating. You need to foster cooperation. It’s not about defeating your opponent. Both parties need to be satisfied with the negotiations. If you learn one thing from this blog article is that, the more win/win situations you create, the more properties you are going to buy. If you play hardball with a seller, you may get want you wanted. However, if the seller didn’t, then the seller or his/her broker may be less likely to want to work with you on future deals. This is especially true if they know you are not amendable to win-win scenarios. If you plan to buy and sell more properties you should strive for the win-win scenarios. 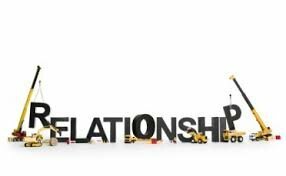 Don’t forget real estate is all about building relationships. You can’t just think in the moment. You have to think about the future for your business and how you will grow it. Every property acquisition means new negotiations. As you can see building relationships in real estate investing is pivotal. You can see how valuable it is to develop positive win – win scenarios when you are trying to do effective real estate negotiations. 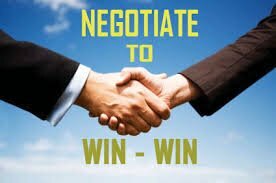 Stay tuned for the next article in this series where we will look at the keys to successful negotiations. If you want to learn more about effective real estate negotiations, or how investing in real estate can benefit YOU, Contact US! We would be happy to chat with you.